One of the Packers’ best players won’t have a chance to help the team make a last-ditch playoff charge in the coming weeks. 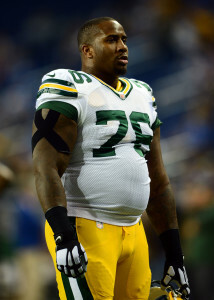 Green Bay placed defensive end Mike Daniels on IR. Wide receiver Trevor Davis will also be moved to the Packers’ IR list. Green Bay will promote fullback Dan Vitale from its practice squad and activate wide receiver Jake Kumerow from IR. Afflicted with a foot injury, Daniels carried a questionable designation into Sunday’s game against the Cardinals. The standout defensive lineman has been a key component of the past several Green Bay defenses, serving as a full-time player for the past five years. He’s played in 10 Packers games this season. Green Bay extended Daniels via four-year, $41MM contract during the 2015 season. One year (at a $10.9MM cap number) remains on Daniels’ deal. He made the Pro Bowl last season and has 29 career sacks. Kumerow returned to Packers practice last week. The Division III product has not played in an NFL game yet, despite being a fourth-year pro. Initially a Bengals UDFA, Kumerow may soon be in line to make his regular-season debut. He’ll replace Davis in the Packers’ receivers room. Davis is the third Packer wideout to land on IR this year, following Kumerow and Geronimo Allison. Kumerow’s activation ensures Allison won’t return in 2018. The Packers activated wide receiver Trevor Davis from injured reserve, as Ian Rapoport of NFL.com tweets. Davis may contribute in the return game upon his return while also providing depth behind Davante Adams, Marquez Valdes-Scantling (a.k.a. Scantron), Randall Cobb, Equanimeous St. Brown, and J’Mon Moore. A fifth-round choice in 2016, Davis hauled in 24 receptions and tallied 289 yards last season while playing on 40.5% of Green Bay’s special teams snaps. His return is well-timed for a Packers team that recently placed Geronimo Allison on IR. Prior to the transaction, the Packers had only 52 players on the roster, so no corresponding move will have to be made before the team’s Thursday night game against the Seahawks. With a win, the Packers can keep themselves afloat in the NFC Wild Card chase while seriously damaging the Seahawks’ playoff hopes. With more than half of the 2018 campaign in the books, NFL clubs have started to exercise their right to return players from injured reserve. Each team is allowed to bring two players back from IR, but said players must have been retained on their respective club’s initial 53-man roster. Once an IR player returns to practice, his club will have three weeks to decide whether to activate him to their 53-man roster; if he’s not activated, the player will remain on injured reserve for the remainder of the season. Patriots running back Rex Burkhead returned to practice on Thursday, according to Mike Reiss of ESPN.com (Twitter link). Burkhead, who is first eligible to play in Week 13 against the Vikings, is the second and final New England player who is scheduled to return from IR, joining rookie cornerback Duke Dawson. That means other injured Patriots, such as linebacker Ja’Whaun Bentley, cornerback Eric Rowe, and offensive lineman Brian Schwenke are officially done for the year. New England doesn’t necessarily need more help at running back: James White and jack-of-all-trades Cordarrelle Patterson have held down the fort in recent weeks, and impressive rookie Sony Michel is expected to return from injury this week. But Burkhead could still carve out a role, and will certainly be a factor on special teams. Second-year tight end Adam Shaheen has been designated for return by the Bears, tweets veteran NFL reporter Howard Balzer. Shaheen, a second-round pick in 2017, was an impressive athlete coming out of Division II Ashland last year, but didn’t produce much in the way of results during his first NFL campaign. In 13 games (seven starts), Shaheen managed only 12 receptions for 127 yards and three touchdowns. Now that he’s recovered from foot and ankle issues, Shaheen should slot in alongside fellow Chicago tight ends Trey Burton and Dion Sims. The Packers have gotten contributions from several young receivers already this season, and they could be getting another youthful pass-catcher back in the near future. 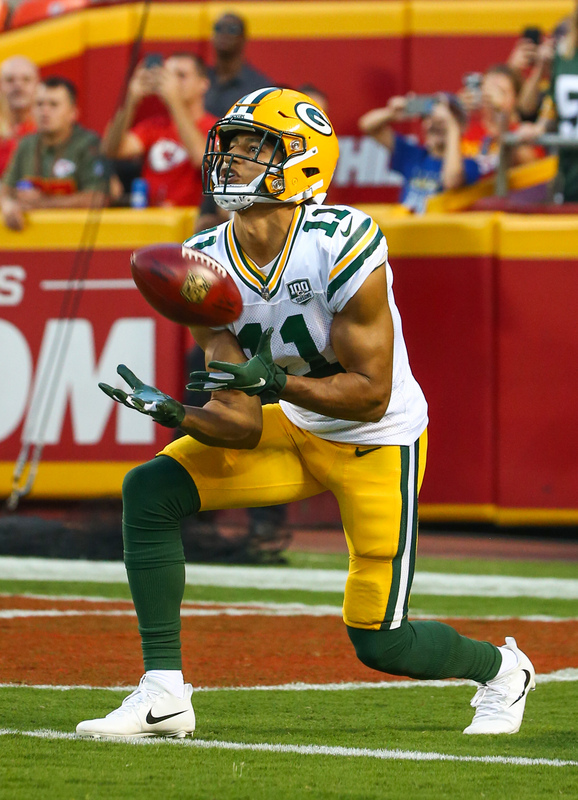 Trevor Davis returned to practice earlier this week, per Balzer, and can now be activated at any point in the next three weeks. A fifth-round choice in the 2016 draft, Davis posted 24 receptions last season while playing on 40.5% of Green Bay’s special teams snaps. Now that Geronimo Allison has been placed on injured reserve, Davis could see snaps behind Davante Adams, Randall Cobb, and Marquez Valdes-Scantling. Redskins rookie wide receiver Trey Quinn returned to practice today and has been designated to return from IR, tweets Balzer. Quinn suffered an ankle injury in Week 1 after being selected in the seventh round of this year’s draft. Washington is dealing with numerous injuries at the wide receiver position and just placed pass-catcher Paul Richardson on IR, so Quinn could theoretically see snaps down the line. The Lions are expected to once again use a rotation at running back instead of committing to one starter, head coach Matt Patricia told reporters, including Dave Birkett of the Detroit Free Press. “I think for us it all about competition, but when we get into the gameplan mode and we actually have our team and we are working against a particular opponent, then it becomes into a matchup situation,” said Patricia, who is familiar with deploying a running back stable after working for the Patriots until this spring. Detroit signed veteran LeGarrette Blount to a one-year deal last month, adding him to a crop that also includes Ameer Abdullah, Theo Riddick, Zach Zenner, and Dwayne Washington, and Birkett reports the club is expected to select another running back in the upcoming draft. Packers wideout Trevor Davis was arrested at Los Angeles International Airport on Sunday after making a joke about carrying a bomb, according to a report from TMZ Sports. Davis was reportedly checking in when he facetiously asked his girlfriend if she remembered to “pack the explosives,” a question which unsurprisingly wasn’t met with laughter by airport staff. The 24-year-old Davis was subsequently arrested and charged with a misdemeanor of making a bomb threat, and is now facing a May 3 court date, per Tom Schad of USA Today. Davis, a fifth-round pick in the 2016 draft, will compete to earn a spot on the back end of Green Bay’s wide receiver depth chart. Although Lions general manager Bob Quinn kept former head coach Jim Caldwell in place from 2016-17, Quinn had been eyeing Patricia for some time, as Birkett writes in a separate piece. “I had heard about Matt from Bob for two years before we had the chance to meet and as I think I told him recently, I think he undersold him, and he was selling him,” team president Rod Wood said. “So I think the relationship is strong, the language they speak, the trust. The ability I think to build the team through kind of one long-term vision of what we’re going to be about…” Quinn and Patricia overlapped in New England from 2004-15, and both are now signed through 2022 in Detroit. In case you missed it, the Bears declined to match a two-year, $9.6MM offer sheet for wide receiver Cameron Meredith and thus lost him to the Saints. Because Chicago only tendered Meredith at the original round level, the club won’t receive any compensation as Meredith heads to New Orleans. The Bears had the option of tendering Meredith at the second-round level at a cost of $2.914MM, only ~$1MM more than the original round price of $1.907MM. Having lost running back Lamar Miller and struck out on potential replacements C.J. Anderson, James Starks and Chris Johnson in free agency, the Dolphins could select a go-to rusher with the 13th pick of the draft. Their potential target? Ohio State’s Ezekiel Elliott, says Bleacher Report’s Jason Cole (video link). Elliott is the type of cutback runner rookie head coach Adam Gase covets for his offense, Cole notes. Ohio State’s Michael Thomas is the No. 1 wide receiver on Washington‘s board, according to Cole (video link). Washington is enamored of Thomas’ mix of size (6-foot-3, 212 pounds), speed (4.57 forty-yard dash) and competitiveness, per Cole. Thus, he could be the club’s target at No. 21 overall in the first round. The stock of Mississippi defensive lineman Robert Nkemdiche – arguably a top-10 talent – is dropping because of character concerns, and he could end up a second-round selection, Cole reports (video link). Nkemdiche was charged with possession of marijuana after he fell out of an Atlanta hotel window in December. Oklahoma State defensive end Emmanuel Ogbah has lined up visits with the Bears and Buccaneers, he told Mike Florio of Pro Football Talk. The Bengals, Patriots and Jets sent defensive line coaches to observe Michigan D-lineman Willie Henry‘s workout on Friday, reports Tony Pauline of WalterFootball.com. The Patriots also met with Michigan linebacker Desmond Morgan on Friday, as did the Vikings and Lions, per Pauline. The Lions “spent hours” with Eastern Michigan running back Darius Jackson after his Friday workout, according to Pauline. The Lions and Titans met with Cal receiver Trevor Davis on Friday, Pauline writes. Davis isn’t the only Cal wideout the Titans are eyeing, Pauline notes. They met with Kenny Lawler, too, and so did the Jets.